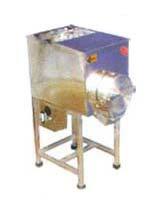 Our Wet Pulverizer is one of the essential commercial kitchen appliances. Owing to its robust construction, dust-free operation, smooth functionality and low maintenance, our Wet Pulverizer is extensively in demand amongst buyers. Wet Pulverizer is used for pulverizing different types of product like green chilies, sugar, wet rice, coconut, ice cubes, sweet potatoes, peach, banana, orange, etc., which can be grind with water.